For the past decade, the Mets have been in a strange period. The Mets don’t have stability behind home plate. From 1966-2005, the Mets had 40 seasons of relative stability and production from their catchers. Since that point, the Mets have had some production from catchers but little in terms of consistency. 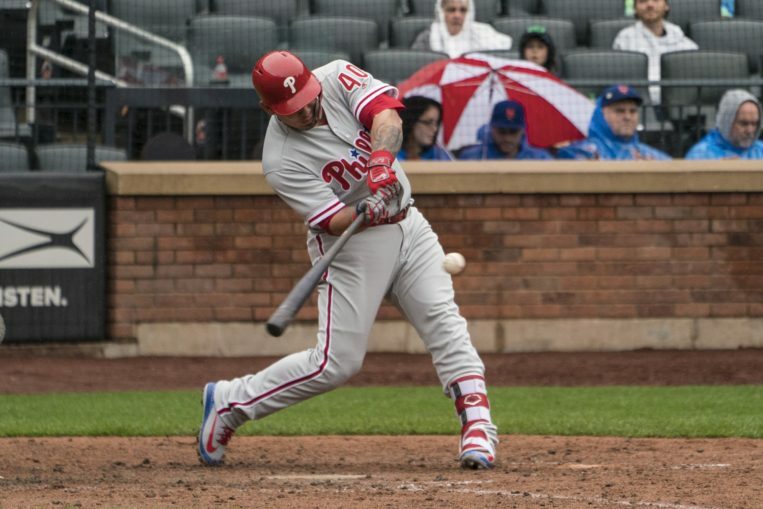 Now that Wilson Ramos signed to a two year deal, the Mets hope to enter a new period in their catching history. In 1966, the Mets acquired a 23-year-old catcher named Jerry Grote. Prior to that season, the Mets had used a total of 14 catchers over the course of four seasons. None had any real success. Three would play in over 100 games, and the numbers weren’t pretty. Little did we know it, but 1966 began a glorious period of Mets catching. From 1966-2005 the Mets would have 5 primary catchers. They would represent the Mets in 18 all-star games and all would be key contributors. Jerry Grote, John Stearns, Gary Carter, Todd Hundley and Mike Piazza would end up representing five of the best players in Mets history. Look at offensive leaders in most categories and their names stand out. In 2006, the Mets let Mike Piazza walk. This was done with a heavy heart but was a smart move. While no one doubted that Mike Piazza could still be a productive ballplayer, it was clear that his time had come. As the saying goes, it is better to get rid of a player a year too early than a year too late. The Mets picked up perennial all-star Paul Lo Duca, who promptly continued the Mets tradition of starting the midsummer classic. However, Lo Duca declined in 2007 and the Mets have never quite recovered. For 2008, the Mets did something they hadn’t done in years. They settled for mediocrity and traded for Brian Schneider. All his numbers indicated he was as average as can be. In his previous 5 seasons, he batted .250, had an OPS of .695 and has an average WAR of 1.2 per year. He had a good arm, but that was it. While with the Mets, he continued to be mediocre. In 2009, Schneider played less than 60 games as the Mets had a teamwide injury plagued season. By 2010, the Mets thought that the next catching star had arrived. The young Josh Thole showed that he could be a capable major leaguer. Between his brief appearance in 2009 and 2010, Thole showed a lot of promising signs. He batted .286 and got on base over 35% of the time. To make things better, he threw out over 40% of all base stealers. 2011 was the first year in which he was an everyday catcher. His numbers dropped both offensively and defensively. Nevertheless, 2012 got off to a great start. Thole slashed .317/.403/.429 in April and looked like he was finally breaking out. Tragically, he suffered a concussion in May and never returned to form that year. Thole and d’Arnaud both had potential but never could put it all together. After the season, Thole was shipped to Toronto as part of a blockbuster deal that landed Noah Syndergaard and Travis d’Arnaud. TDA, as he become known, had a very good season in 2014 when he finished seventh in rookie of the year voting. Once again, the Mets hoped that they would finally have someone who could return them to their tradition of strong catching. Once again, they were disappointed. Starting in 2015, TDA became a regular on the DL. He had two stints on the shelf in the first half. The first was due to a broken hand and the second was an injured elbow. TDA was healthy in the second half and was a key piece in the pennant run. In 2016, he missed two months with an injured rotator cuff. 2017 he was generally healthy, say for a three-week period where he had a bruised wrist. Sadly, 2018 was the final straw. After playing in a mere four games, he was diagnosed with a UCL tear and underwent Tommy John surgery. The Mets have tried no shortage of other catchers over the last decade as well. Omir Santos, Rod Barajas, Ronny Paulino, Mike Nickeas and Anthony Recker were all given shots. None were particularly impressive. Currently the Mets have Kevin Plawecki and Tomas Nido who have also been subpar. With this in mind, the Mets entered the offseason knowing that something needed to change. Wilson Ramos is now being asked to fill the blackhole that is Mets catching. It is highly unlikely that he will one day end up in the ‘Grote-Stearns-Carter-Hundley-Piazza club’. He has a history of injuries and shouldn’t be expected to get much more than 100 starts behind the plate. The goal is for Ramos to be Paul Lo Duca 2.0. At age 31, Ramos should have a couple more decent seasons of baseball left in him. He has been an all-star two of the last three years and is one of the best offensive catchers in baseball. When you look at catchers with at least 300 at bats, he was arguably the best. In two years, we will know if the Ramos signing paid off. Will he return the Mets backstop to a respectable position? We can only hope. The Mets are making a serious push to be contenders and the Ramos signing shows that they are not just talk.